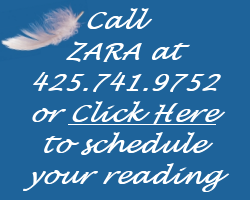 Are Incarnated Angels Simply “Incarnates”? What is the Truth? I’ve noticed that there seems to be confusion in the modern American metaphysical community as to what the word incarnate means. For instance, some people are calling Incarnated Angels simply incarnates, which shows that these people do not understand that “incarnate” merely means a soul being embodied in human form. Following this logically, this means that every single person currently living is, in fact, incarnate. So the simple term, incarnate, used by itself, is not a good appellation for Incarnated Angels. That being said, Incarnated Angels is an excellent title because it is not only descriptive, but is also absolutely accurate. To explain further, when the word “incarnate” is used as an adjective in front of the word “angel”, as in Incarnated angel, the two words put together denotes an angel in human form. But when the word “incarnate” is used in other contexts, it means something different, for instance, according to ancient Vedic understanding, all humans begin as Spirit, and as long as they are living in a human body they are, in fact, Spirit incarnated as humans. This is why it it not adequate to call Incarnated Angels merely incarnates, because saying so makes it sound like Incarnated Angels are the only ones who are Incarnated, and that, of course, is patently incorrect, because all living humans are Spirit incarnate. The word, incarnate, comes from the Latin in-, meaning into, and from the Latin carn- which means flesh. Remember again, according to ancient Vedic understanding, all living humans embody Spirit. So incarnate means Spirit being made flesh – which all humans are. Before incarnating, each person started as a non corporeal soul, meaning a soul not in the body. This means that everyone was a pure soul before coming into a body. Entering a body happens at the moment of conception. 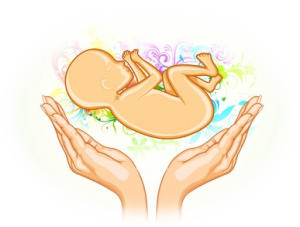 When a woman conceives a baby, a soul enters the newly conceived embryo, and begins the journey towards living in the physical realm. Then, that living soul becomes “incarnated”, i.e., in a body. The journey of a soul becoming incarnated is hard, because the soul feels restricted and confined. Previous to entering the body, the soul was free and felt basically unrestricted, but after the soul enters its new body at the moment of conception, it feels confined. Yet, partly because of the very restrictions I just mentioned, the soul’s incarnating, (that is, the soul coming into a body and living on earth), is extremely important for spiritual growth. As the first person who brought in the concept of Incarnated Angels, (in 1996), I coined the term “incarnated angels”. This concept has been copied and expanded on in some ways that I agree with, and in other fanciful ways that are patently incorrect ideas and myths. By the way, when I coined the phrase, Incarnated Angels, I considered using the terminology earth angels, but I chose incarnated angels instead, because incarnate is an accurately descriptive term. When followed by the term Angels, Incarnated Angels specifically means Angels who incarnate as humans. In other words, an angel who has volunteered to be born into a human body is specifically an Incarnated Angel. It’s also important to note that the reason I did not choose to call Incarnated Angels human angels, was because of the egoic quality that terminology adds to the mix. Think about it….human angels. It sounds like they are humans who became angels somewhere along the line – who are better than other people. This is not who incarnated angels are. 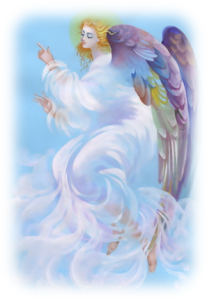 Incarnated angels began as angels at the time of creation, and have volunteered to come to the earth as humans in order to help God positively influence and assist humans in their spiritual journeys here on earth. In fact, many people are now using the phrase human angels in place of Incarnated Angels, and by doing so, are overlooking the fact that inherent within the words human angels, is an assumption of egoic elitism, which is the exact opposite of what true Incarnated Angels should stand for. Incarnated Angels are meant to love and care about everyone they can, not to see themselves as “better than”, but to be inclusive, accepting and loving. It’s important to remember that true Incarnated Angels care about the well-being of all of God’s children, and they work to do their best to influence people into a humanitarian, loving and caring attitude. That is their nature. It is their purpose.